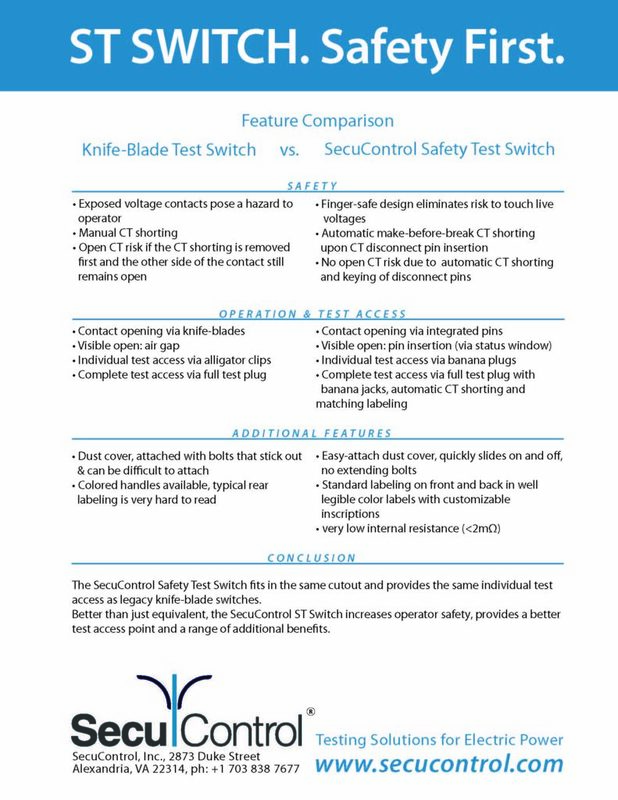 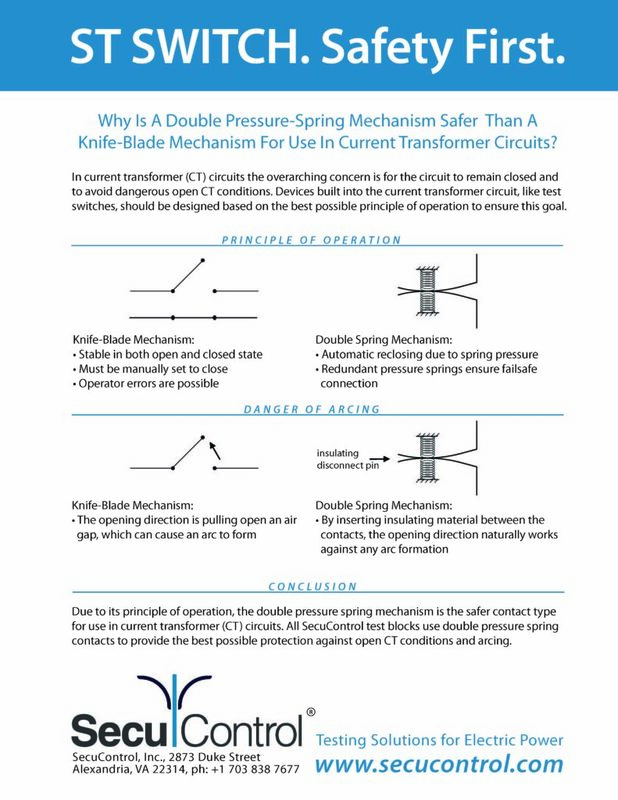 The Safety Test Switch (ST Switch) fits the same cutout as knife-blade test switches. 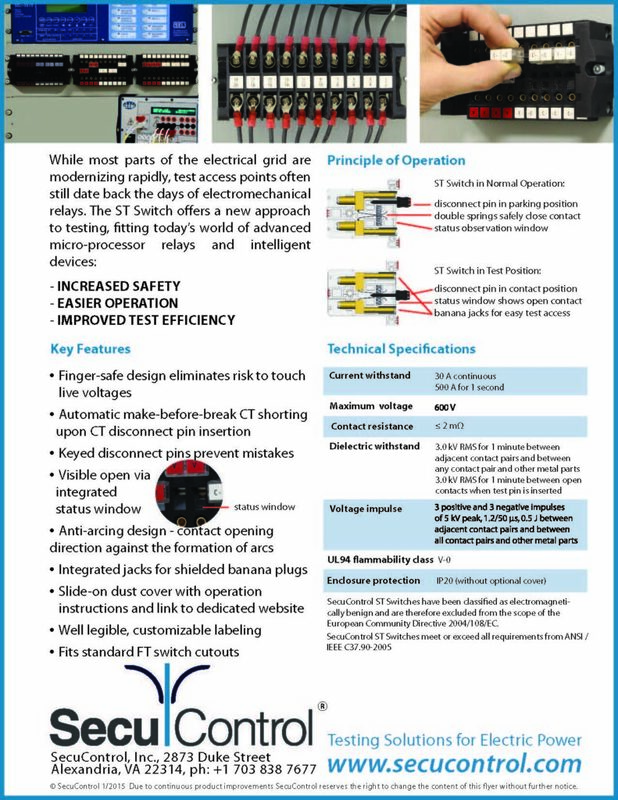 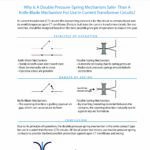 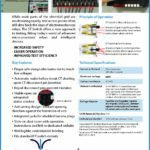 It offers all the same functionality (individual contact opening), while significantly increasing user safety and test efficiency. 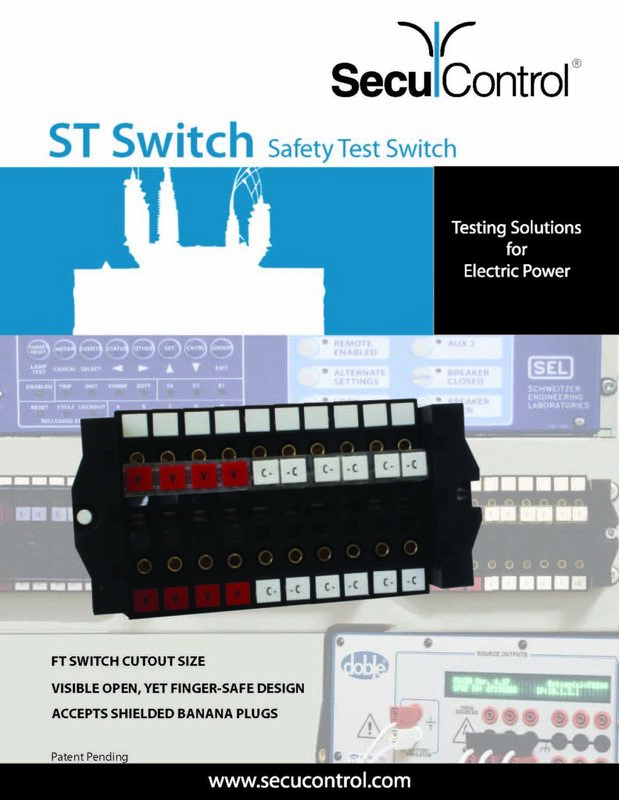 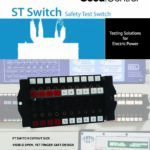 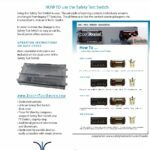 Are you currently working on any projects for which you’d like to consider the Safety Test Switch? 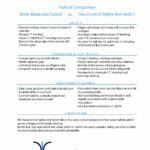 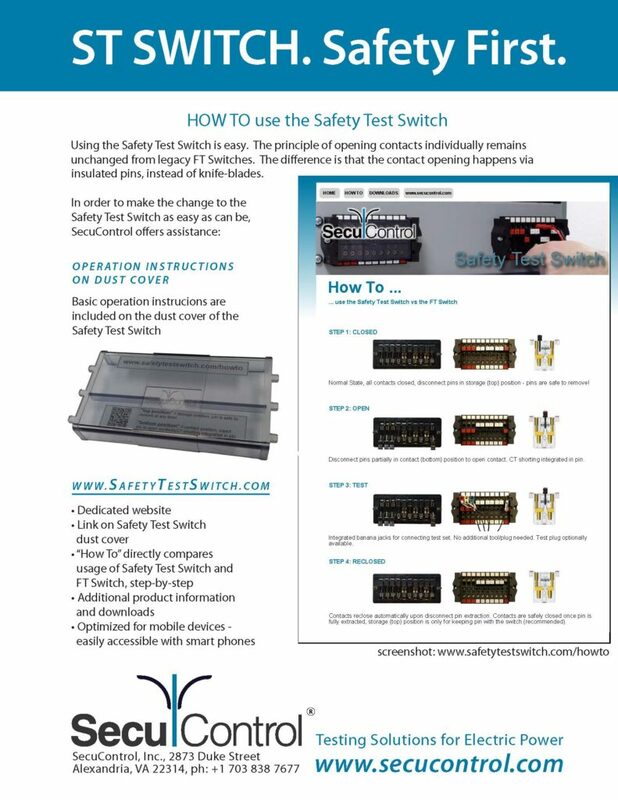 You would offer your customers a safer and more convenient testing solution.